New York, NY.– The Institute for Latino Studies at Berkeley College, dedicated to quality research for better advocacy, presented the third installment of The Illustrious Awards, on Friday, September 14, 2018, at the Graduate Center of The City University of New York. 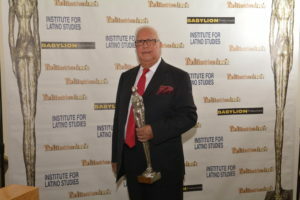 “The Board of Directors of the Institute for Latino Studies at Berkeley College is proud to present Illustrious Awards to fifty distinguished Latinos, whose live stories inspires society to reach for excellence by encouraging respect and performance; their contributions have indeed enriched and positively influenced the United States of America,” said Dr. Maria Teresa Montilla, ILS executive director. 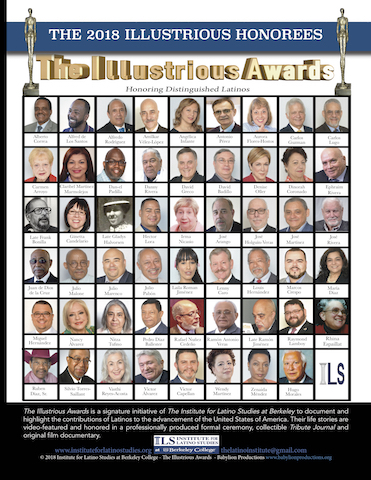 “The Illustrious Award honorees are examples of illustrious men and women leading the way to inspire and empower students from all backgrounds to achieve their goals. They are excellent role models for our students,” said Mr. Michael J. Smith, Berkeley College President as part of his opening remarks at the ceremony. 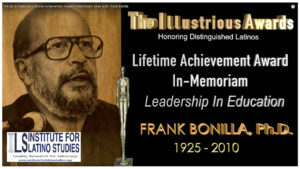 Honored with a Lifetime Illustrious Awards in Leadership in higher Education In-Memoriam, for being one of the greatest pioneering educators and visionaries of our time. Dr. Bonilla was the founder and former director of the Center for Puerto Rican Studies at Hunter College. 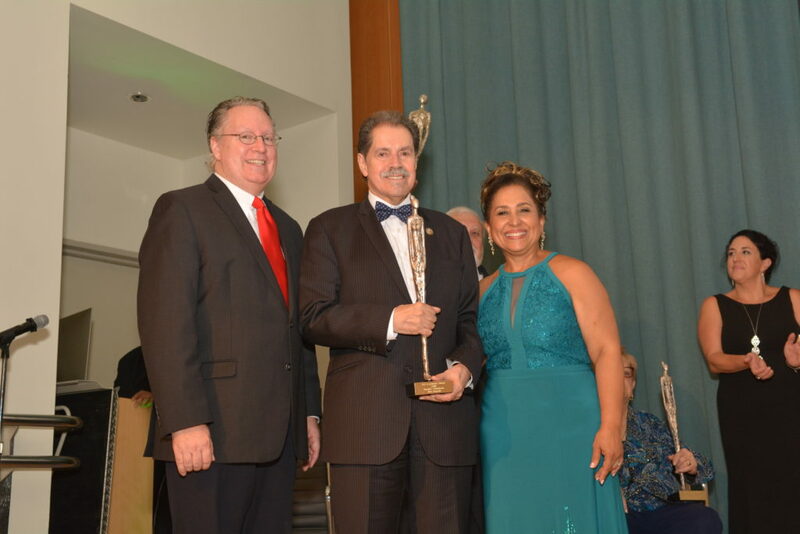 The award was received by representatives from El Centro Para Estudios Puertorriquenos. 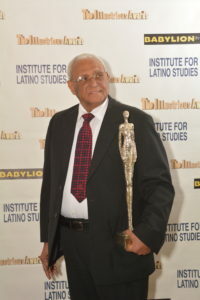 Dr. Veras has the historical distinction of being a surviving member of the Panfleteros de Santiago, a group of youngsters who were made martyrs after being jailed, tortured, assassinated, cut in pieces and disappeared in 1960, following an act of resistance against the dictatorship of Rafael Leonidas Trujillo. Congressman Jose Serrano, NYS Assemblyman Jose Rivera, NYC Councilman Rev. 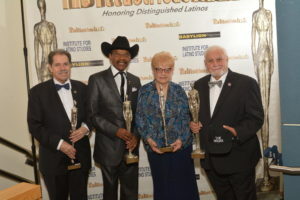 Ruben Diaz, Sr., NYS Assemblywoman Carmen Arroyo, Dr. Maria Teresa and Nestor Montilla, Sr., posed for the cameras at a special moment during the ceremony after Reverend Ruben Diaz, Sr., was bestowed with The Lifetime Illustrious Awards for being the first Latino Pastor to be elected to public office in the United States of America. Photo by Eduardo Hoepelman. At the ceremony, a 150-page full color commemorative journal was released to honorees and 350 attendees who filled to capacity the Harold M. Proshansky Auditorium of the Graduate School of The City University of New York at 365 Fifth Avenue New York, NY right across the Empire State Building on the intersection of 34thStreet and Fifth Avenue. “This commemorative-collectible-research journal is a rare and unprecedented-must-have research treasure, highlighting unsung Latino heroes whose stories, professions and contributions have indeed made the United States a great country and, more importantly, a better place to raise a family, build prosperity, live in peace, practice religion, and pursue happiness for many years to come,” stressed Nestor Montilla, Sr. executive director and producer of the Illustrious Awards. 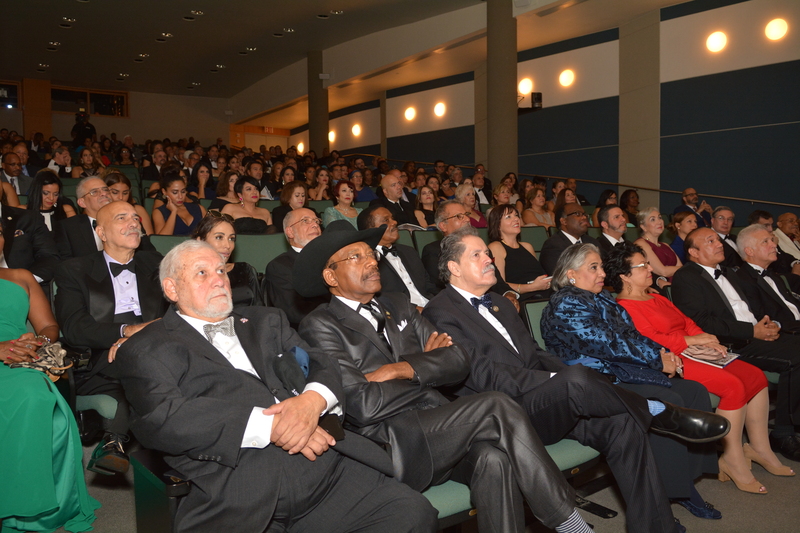 Dr. Morales was among the honorees. His life story and contributions were exalted in the commemorative journal and included in the presentation. 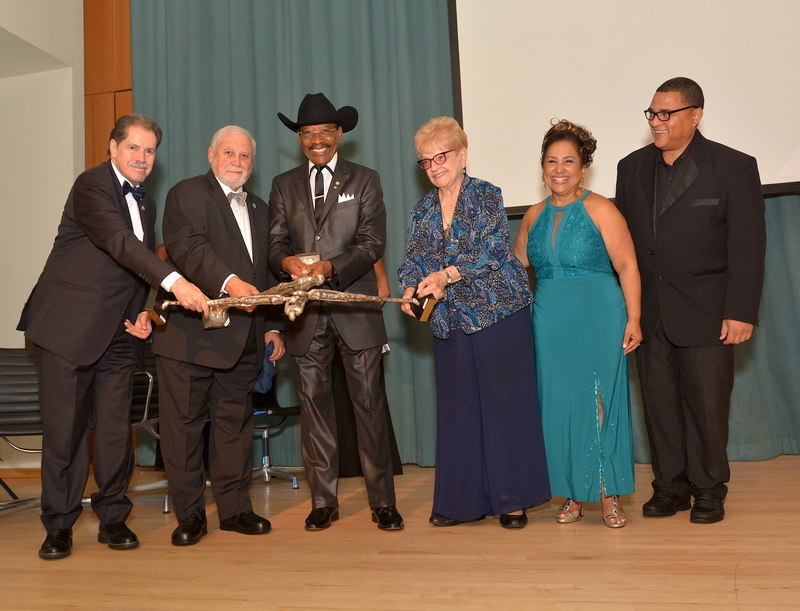 Among his many accomplishments as a trustee of the City University of New York (CUNY), Dr. Morales proudly mentioned the realization of Nueva York, a multiple Emmy Award Winning television series about Latinos, which was originally conceptualized and proposed by Néstor Montilla, Sr., and subsequently produced by staff of Channel 75, the television station of The City University of New York. “For me, it was a coming around in full circle to a City that saw me graduate from High School in Spanish Harlem, relocate to Minnesota and Chicago, and return to this great City to receive this honor. I’m humble by the fact that the honor is being bestowed by my own people. 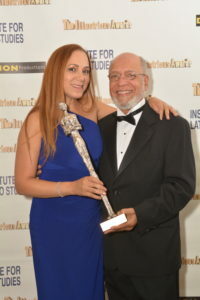 Heartfelt thanks to Dr. Maria Teresa, Nestor Montilla, Sr. and The Institute’s Board of Directors for selecting me for this recognition, and for the opportunity to be with my wife Yulissa, around so many distinguished Latinos,” commented Rafael Nunez-Cedeno, Ph.D., tenured professor at the University of Illinois. 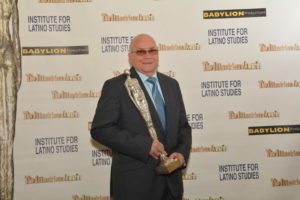 This year, ILS partnered with the Center for Latin American, Caribbean & Latino Studies (CLACLS), Center for Puerto Rican Studies, Berkeley College, Hostos Community College and BabyLionProductions.org to make this installment of the Illustrious Awards a memorable and rewarding milestone in the history of Latinos in the United States.